With the internet becoming one of the biggest markets, with millions of transactions done every day, it has become really easy to sell or buy whatever comes to your mind. And taking that into consideration you now have much space where you can output your creative work and get money for that. For example, you had a wild idea for an eBook, you wrote it, and now the only thing that remains is to get some assets in return. The book industry has been based for centuries on authors trying to impress mainstream publishers, so that their work gets accepted and sells out. Nowadays, it is much simpler as you can be a self-publisher, using an adequate method, which leaves you worry-free when it comes to publisher’s special demands or revenue sharing. 1. Amazon Kindle Direct Publishing. We do agree there are many target groups and people interested in different things, so your chances of selling the book in whatever area are pretty high on the internet. Still, one of the main conditions is high traffic, and according to research from Digital Global Amazon Kindle Direct Publishing is the best of 12 websites to sell your eBook online. And we absolutely agree. Along with the high traffic and huge customer base, Kindle’s advantage is the fact that it is pretty simple to use, and you can publish your book in a matter of minutes. Even if something goes wrong, there is a well-qualified team of experts that are there to solve your case. As of the revenue, the minimum you get is 35% while the maximum is 70%. There lies a slight disadvantage: as the competition is high, in order to get the most revenue, you should rate the price of your book pretty low (2.99$ will always sell better than 9.99$). Still, quality writing is well recognized so you shouldn’t have a problem earning a nice amount of money, especially if you are a creative fiction writer. 2. We decided to put this one in second place for a few reasons. First of all, this platform is not that recommended among the eBook authors simply because the customer base is not that big, but there are few advantages of it. The thing authors don’t like is the fact that Smashwords has to review your book before you publish it, but if you are sure at what you do that can even act to your advantage, as you get a qualified third-person opinion before anything. Also, if you go for the Premium distribution option, your eBook will appear on many social platforms such as Scribd, Txtr, Kobo, Apple, Axis 360, etc. This can save you a bunch of time that you would usually spend self-promoting. Along with that, it includes SEO, and you get an option of posting eBook discount codes as an affiliate which will be attractive to many people out there. This website, lying in the shade, can just be your way to go! 3. Barnes & Noble Press. 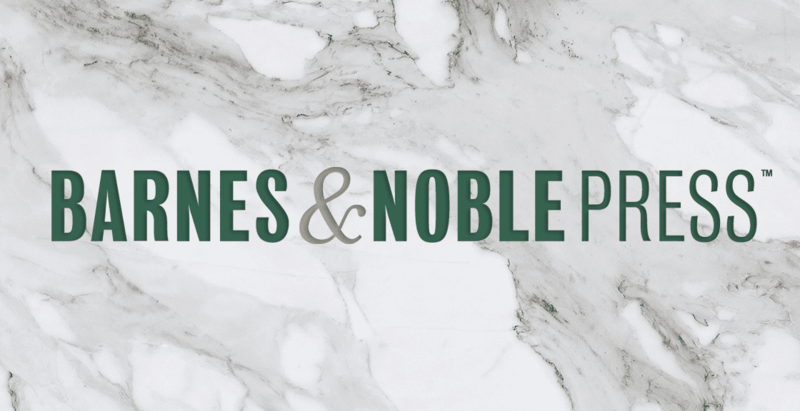 Though maybe not reaching that much of a success with their Nook reading device, Barnes & Noble Press are certainly an excellent option for publishing an eBook. They have huge traffic, and their Nook app is becoming pretty popular, with their followers using to read eBooks bought on the website. Along with that, any genre of an eBook is widely accepted, and there is a number of programs on the website that promote your book out to the world. 4. One of the newer self-publishing services, founded a few years ago, has surely made its place in the eBook store’s competition. Being available in 190 countries, and supporting 68 languages, it is very easy to use, with publishing being a simple 5-step process. As our colleagues from Digital Global Shopping noticed royalty structure is pretty publisher friendly. For every eBook that costs more than 2.99$, you get 70%, while for the ones under you get 45%. It is a pretty good deal if you ask us. In the end, they have teamed up with ABA (American Booksellers Association) so it would be no surprise if your book ends up selling on another independent website (your chances of earning money fast are greatly increased). 5. This one is one of the biggest distributors to other platforms such as Amazon, Kobo, Google, Apple, etc. Once you sign up, you pay a 25$ fee (onetime) and then using their tools you can format, and convert your eBook, just to later publish it. The platform offers to do this for you, at the cost of 149$, or to create you a custom cover priced at 99$. They take 15% of the net revenue, while the remaining you receive via PayPal. Also, eBookIt has a decent amount of promotional offers. Although this might not the best one, this platform is certainly worth checking out as it is in few ways different than the previous four. Our hope is that after this list and article you have a better insight on how to cash your hard work, and invested time, by selling your eBook online through one of these websites!